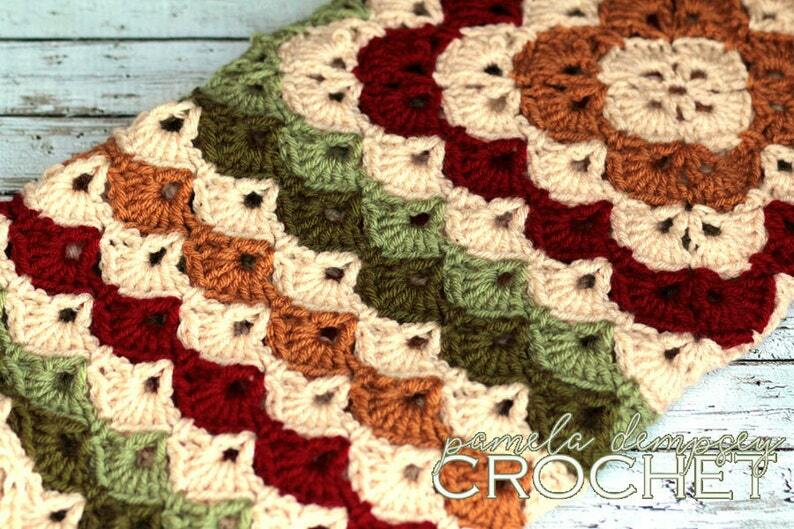 This crocheted blanket is done in soft worsted weight acrylic yarn in beige, honey, red, green & sage shells. Blanket measures 34" x 34" and is the perfect size for crib decor, tummy time, stroller and photo props. 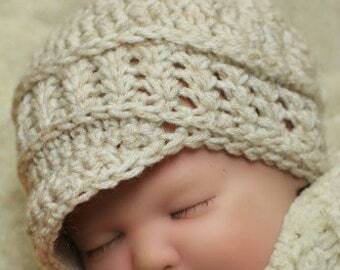 This would be a wonderful baby shower gift that will grow with baby from newborn to toddler! Handmade gifts are always cherished and treasured for years to come! This afghan could also be used as a lap blanket, wheel chair blanket or a calming blanket for medical procedures. Care Instructions: Machine wash using the gentle cycle. Tumble dry using very low heat. Like the blanket, but would prefer a different size or color? Contact me...I love custom orders! Handmade with care in a smoke-free home. 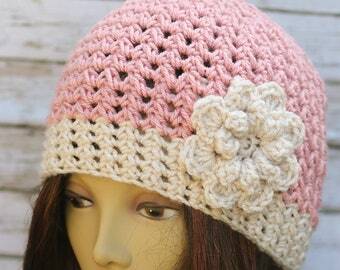 Thank you so much for shopping with PD Designs Crochet Studio.